Now obviously most of us girls don't have moustaches to grow but that doesn't mean we can't join in! 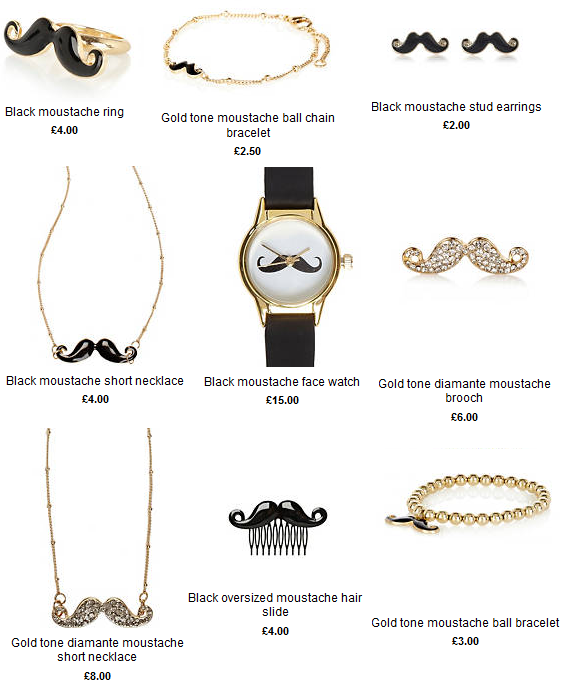 There are so many moustache products around at the minute with one of the best places for this being River Island..
With prices starting at £2.00 it is so easy to join in and show your support for Movember! I'll be wearing my River Island moustache ring all of this month to show support for my uncle who we lost to prostate cancer, so get down to RI and get your tache on! I'm wearing my moustache ring :) what a great post! !